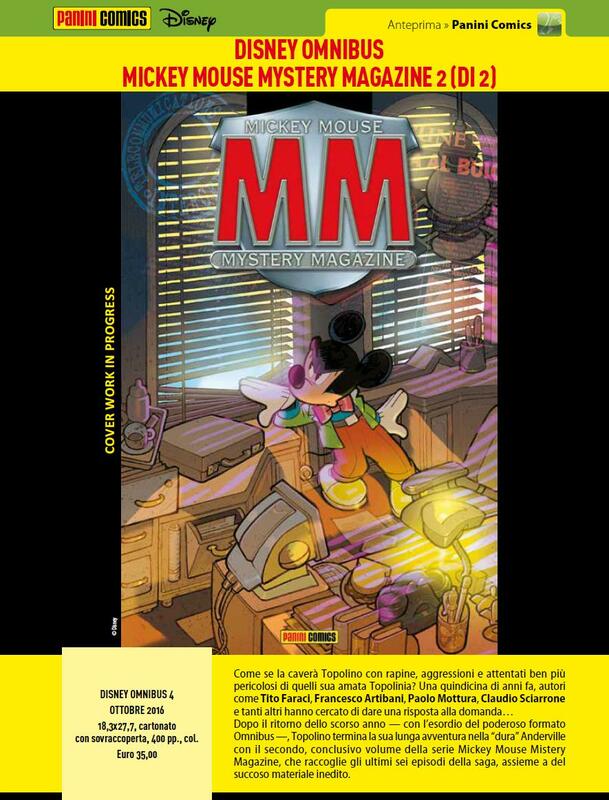 On the wave of celebrations for the publishing of Paperinik New Adventures, in 1996, it's reprinted the first Pikappa story, written by Alessandro Sisti(subject of Sisti and Ezio Sisti), drawn by Alessandro Lavoradori and "remastered" for the occasion with a new colorization by Max Monteduro, in the new Super Deluxe format, a gigantic collection hardcover, with a even gigant-er book-jacket\poster! the first 20 covers in size 31*37cm. Hah! Just you wait till the 25 year anniversary Super-Mega-Ultra-Deluxe Edition!